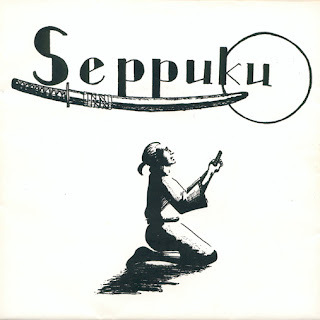 Seppuku was a Swedish New Wave band which was formed by friends Rasmus, Ronny and Fredric in 1984. The trio started to experiment with music, which was the result of their common interest in spy flicks, electronic music, Asian culture and space-age futurism. “Under Your Control”/”A New Illusion” was released in 1984 which brought some line up changes and a tour in Swedish metropolises as Varnamo, Norrkoping, Ljungby and Oskarshamn, through Germany and the BeNeLux countries and ends up in Le Havre, France. Back home again, the latter city is sung about in one of the new songs; “Assignment France”, which is part of another successful recording session. The other two tracks on this session are; “Man Utan Moral” and the still unreleased; “Hon Gav Mig Allt”. After these few releases the band disappeared into the blue. Three of the members are still in the music business while the other two became professional football players. Two of their songs appeared on the compilation Reminiscent which was released in 2004. Thanks for stopping here guys! "Under Your Control" is really popular here.